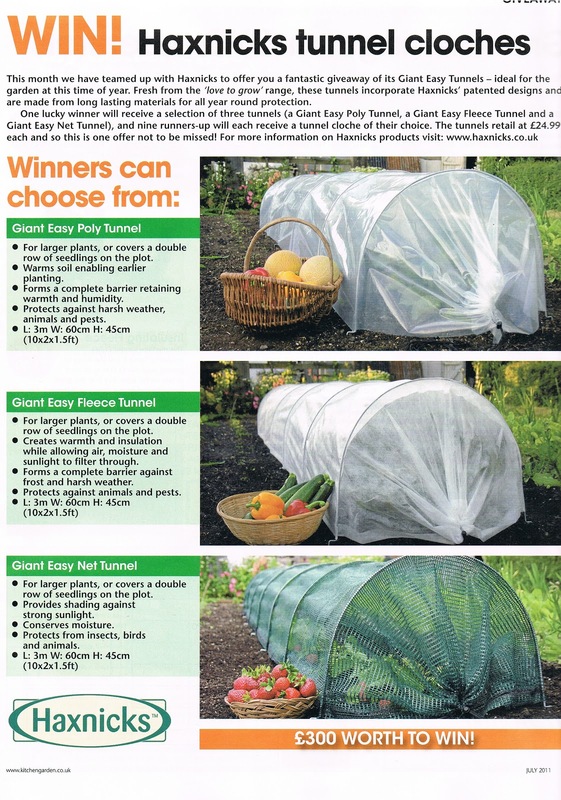 You could win £100 and a bundle of Haxnicks grow your own goodies. 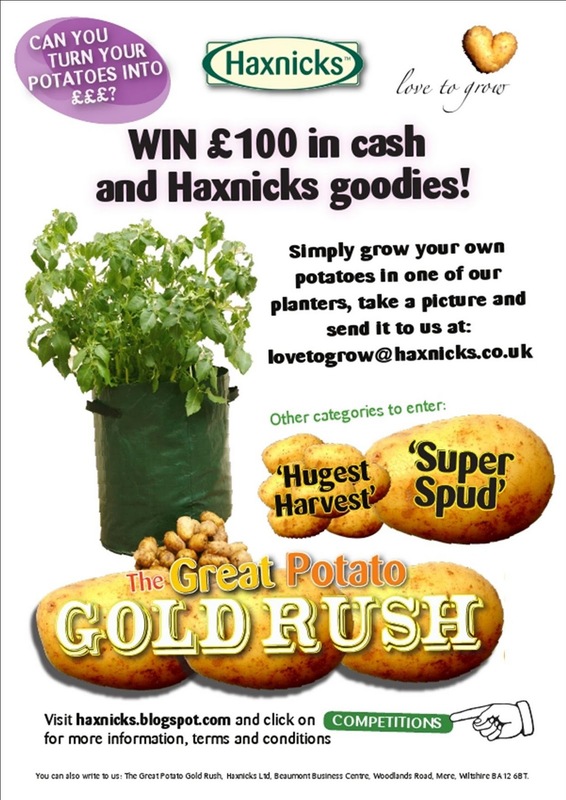 All you have to do is send us pictures of your Haxnicks’ potato planter full of plants (or home grown potatoes) - it couldn't be easier. When you come to harvest your potatoes (from June for early crops), email pictures of your produce to: [email protected]. Alternatively, you can write to us at Haxnicks Ltd, Beaumont Business Centre, Woodlands Road, Mere, Wiltshire BA12 6BT. You can also use our Facebook or Google+ pages to post comments and photos. Check out our neat 'how-to' YouTube video to help you get started with planting your very own potatoes. Click here to see the potato planter (pictured, right) product page. Be sure to take photographs of your progress so you can prove that the potatoes were grown by your own fair hands, but if you get stuck let us know. Images submitted may be used on www.haxnicks.co.uk, www.facebook.com/haxnicks and in promotional material. Any personal details we receive from you, however, shall be kept strictly confidential and remain on our files only. Follow or search the blog for further information, tips and updates. Good luck! 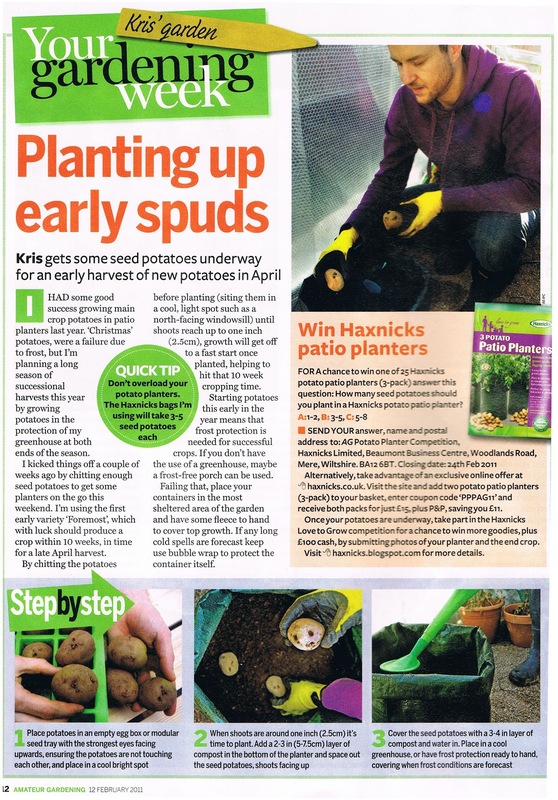 This entry was posted in News & Events and tagged Potato Patio Planters, competition, Love to Grow on 4th January, 2012 by Haxnicks. Seed Potatoes are on sale from December and throughout the Spring, and again in July/August for planting for Autumn and Christmas. Each Patio Planter is suitable for planting 3 seed tubers, or 4 tubers if very small 'baby potatoes' are required. 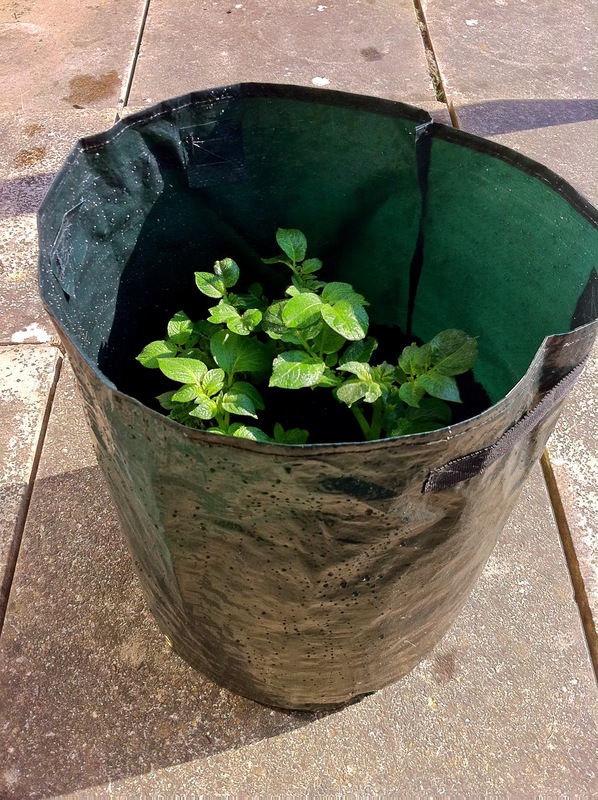 By planting each potato planter at 4 week intervals you will be able to harvest over a longer period. Place your seed potatoes in a cool but frost-free place in egg boxes or shallow trays in full light, so that they can form sturdy shoots (chits) about 2.5cm (1 inch) long. This takes approximately 5 weeks. For each patio planter you will need approximately 40 litres of good general purpose compost. If you want larger tubers then continue feeding and watering for another few weeks. Now you can enjoy the taste of Home-grown Spuds! This entry was posted in Grandpa Haxnicks and tagged Potato Patio Planters, competition on 12th May, 2009 by Haxnicks.